Rollin' down the river with Proud Mary and her krazy krewe! 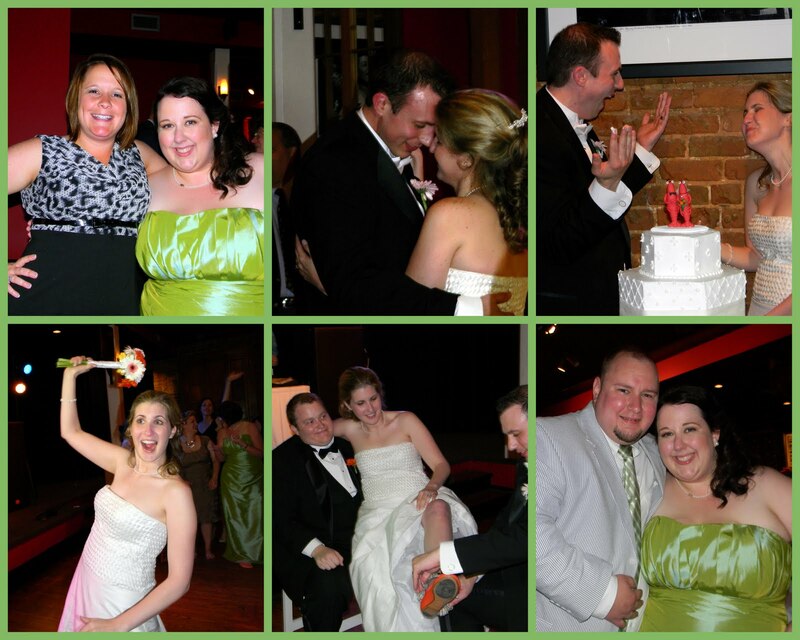 : A Nawlins Wedding! This past weekend was Aaron and Ashlee's wedding and let me tell you, it was an incredible night! Ashlee was a beautiful bride and everything was so nice. The ceremony was held in our alma mater's chapel. It was great to be back at Cabrini! Sitting in the pews in the chapel reminded me of high school and here we are 10 years later at my friends wedding. Ashlee wore a dress that her mom hand made. It was really pretty and what an awesome thing to wear a dress that your mother made you on your wedding day, that is so special! The reception was held at Rosy's Jazz Hall. Ashlee and Aaron kicked the wedding off with entering the room as Mr. and Mrs. while wearing Mardi Gras masks and 2nd lining. It was perfect and totally New Orleans! The Jazzmen Brass Band came and really got the party started! It was such a great time to get down with a jazz band. All the guests really enjoyed it and the men got everyone on their feet. The night ended by playing "Living On A Prayer" and I brought out a little air guitar...oh yes I did. I'm so happy to have been a part of their big day! Aaron and Ashlee are off on their honeymoon in Riviera Maya. I'm sure they are having a blast relaxing and soaking up the sun. Congrats newlyweds!